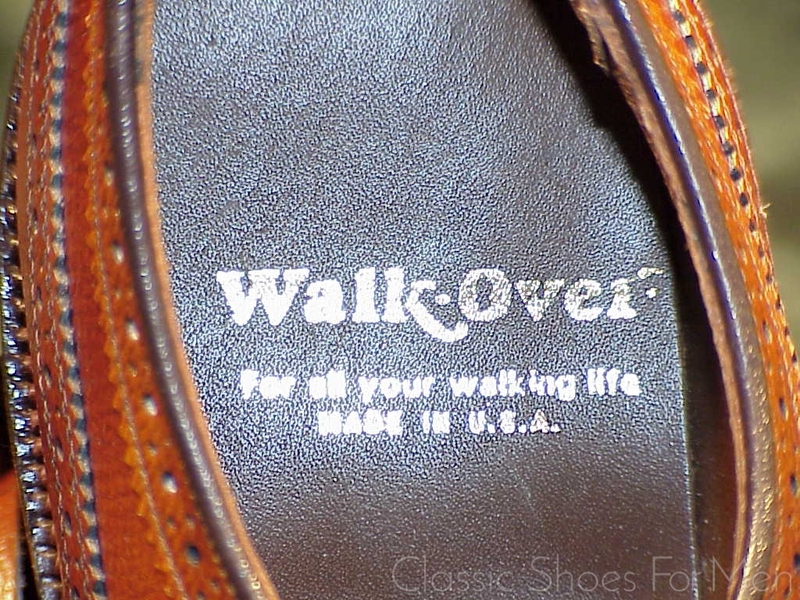 The Walk-Over Company is one of the myriad American producers of the 20th century that did not survive the winnowing of the industry that resulted from the onslaught of off-shore imports beginning in the 1960’s. 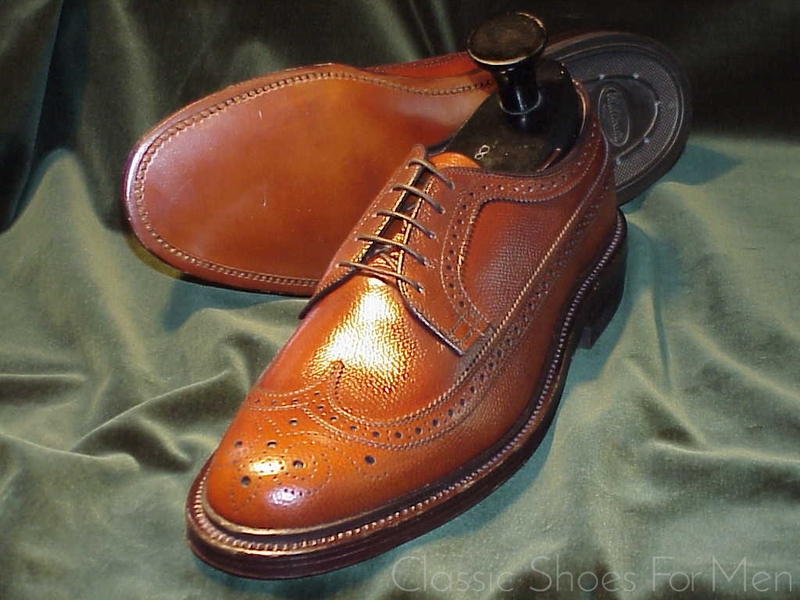 Judging from the present example,Walk-Over produced an excellent product and one as well made as the more famous Florsheims, Hanovers or Nettletons. 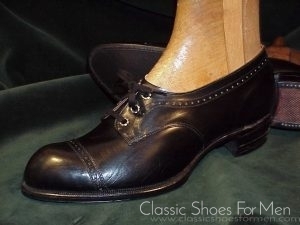 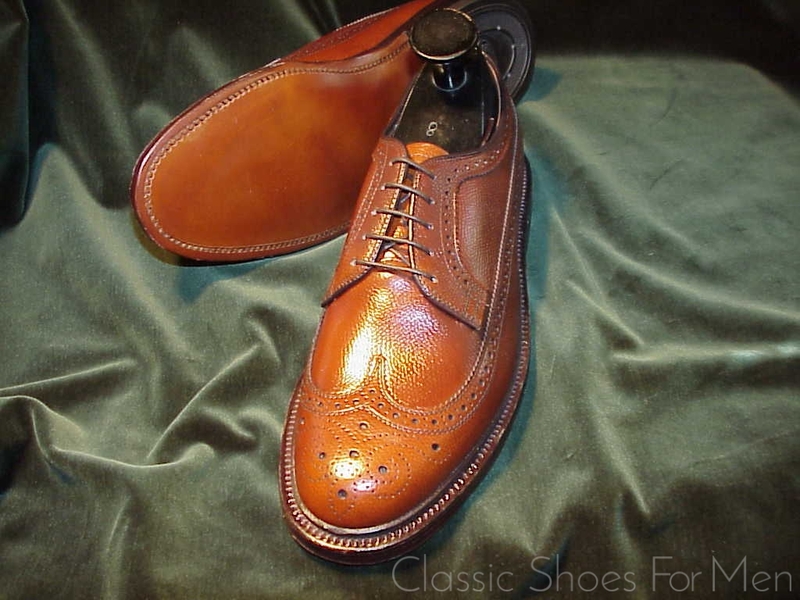 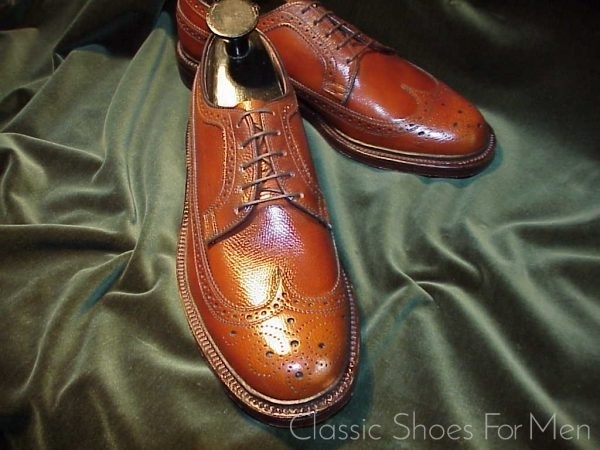 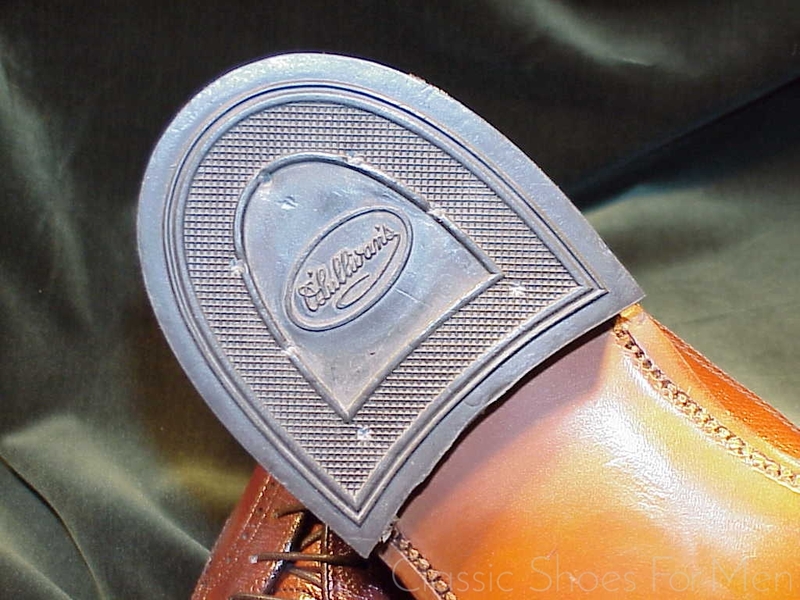 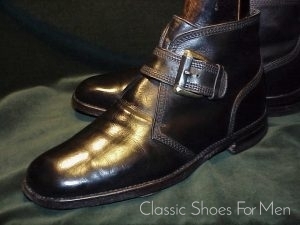 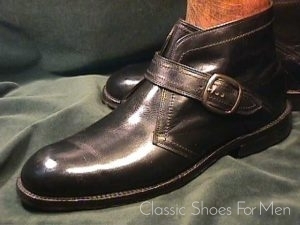 Like the product of these other great American shoemakers Walk-Over offerings are still unsurpassed. In short, you are considering the perfect all-season daytime brogue, good for rain (notice the Split Reverse Welt -Storm Welt in Pic. 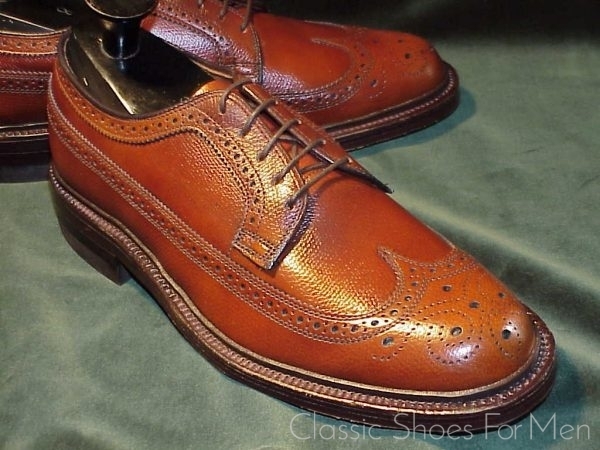 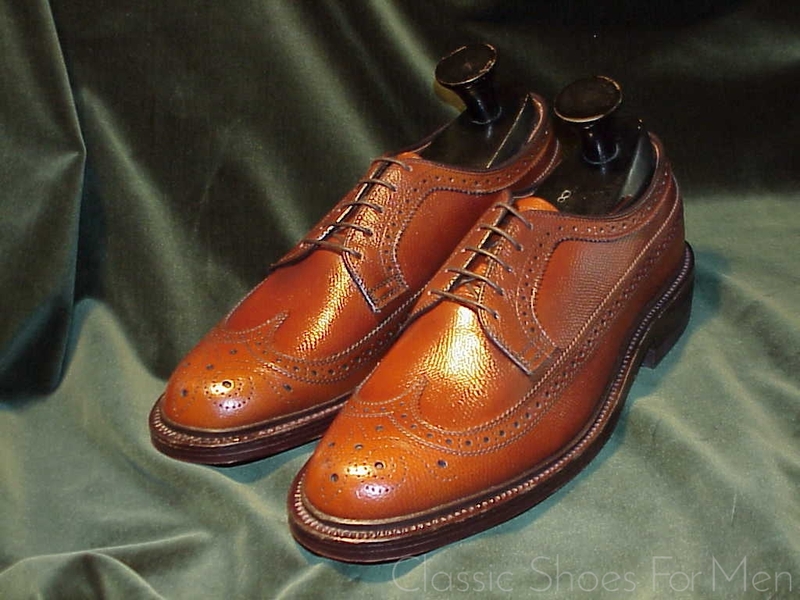 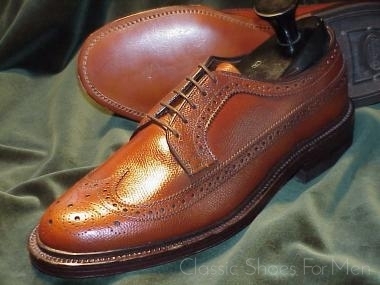 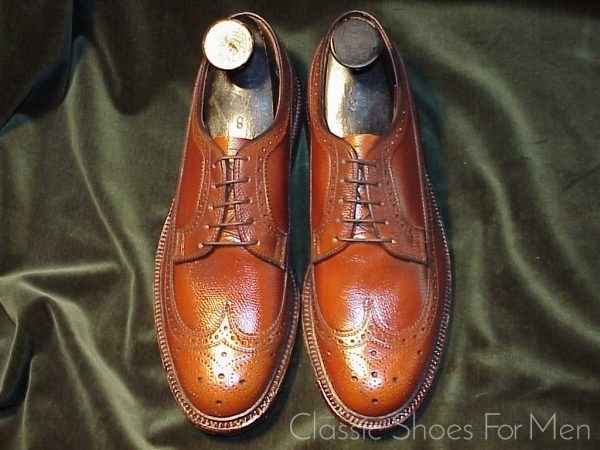 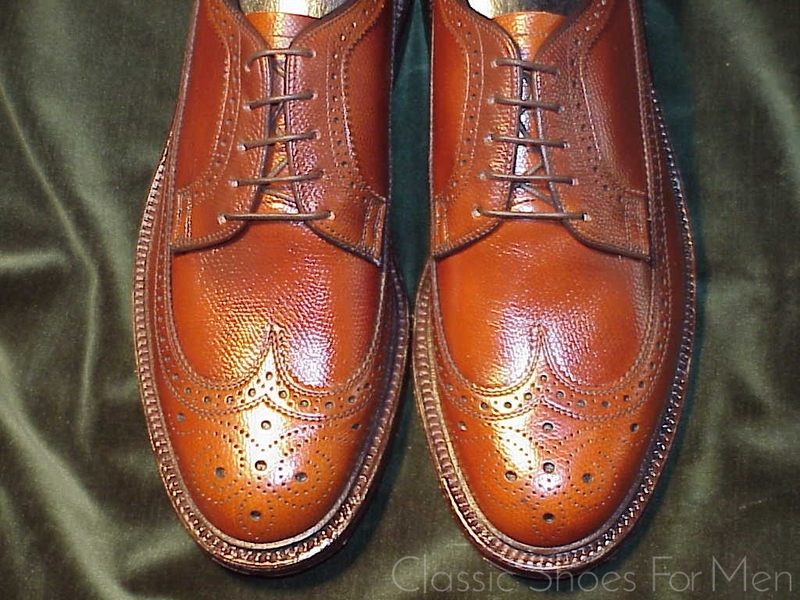 #5) or shine Town or Country, a beautiful, no-nonsense, no compromise, Full Brogue for the gentleman. 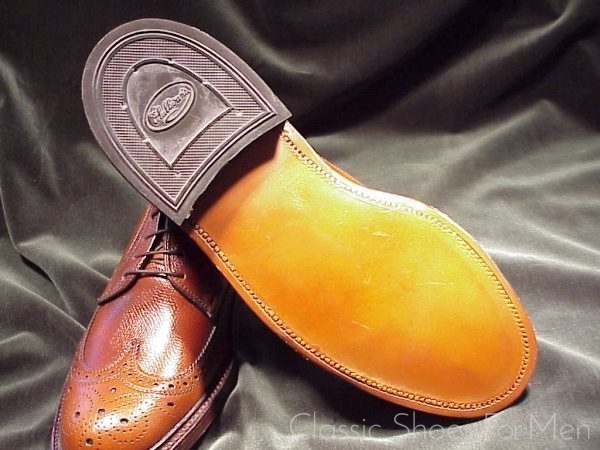 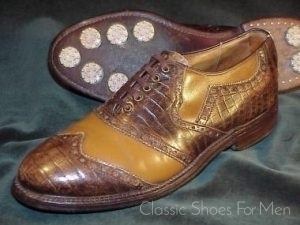 , Equally suitable for business or relaxed wear this great shoe of yesteryear is an absolute basic in the wardrobe, as much in fashion today as it was for most of the 20th century..
marked US 9D....European 42D.......UK 8E, for the medium width foot. 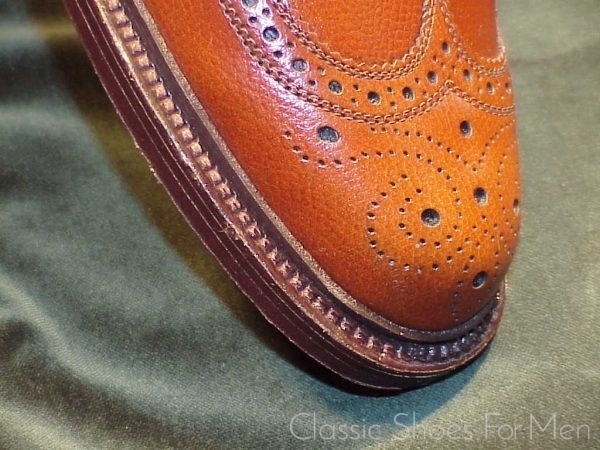 ...42D, für den mittel-breiten Fuss.